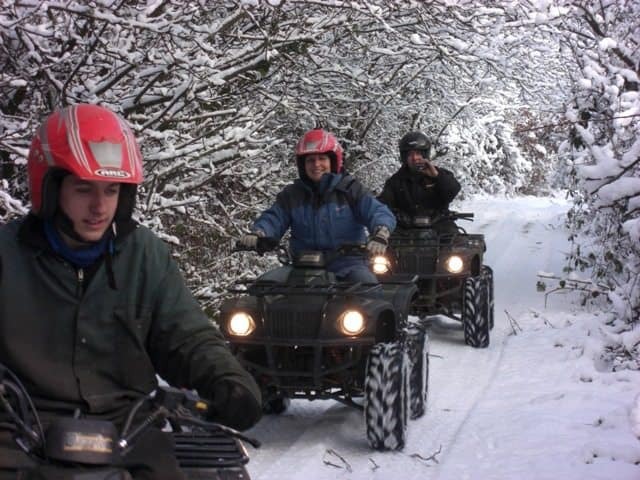 Celebrate Christmas this year with a traditional great outdoors event! 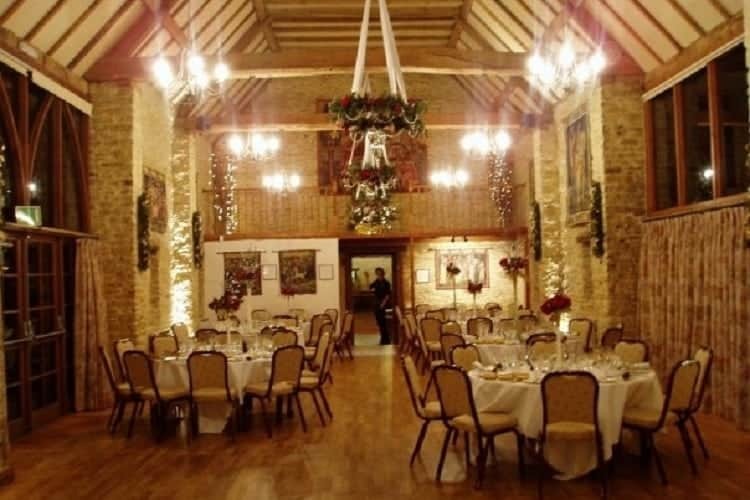 Our beautiful Oxfordshire venue is set amongst 250 acres of wooded estate land and features an idyllic 18th century barn offering the perfect venue for your office Christmas lunch! 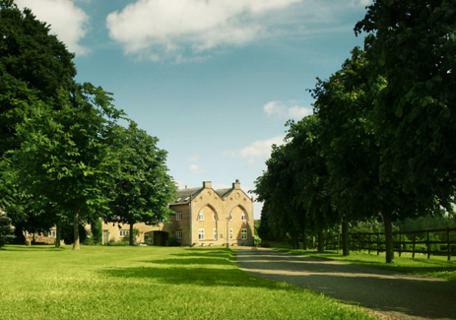 We’re conveniently located just 10 minutes from the M40 and there are also excellent rail connections from London and the Midlands to the nearby stations of Banbury and Bicester. This Christmas we’ve put together a fantastic package, lasting from 10:00 am till 3:00 and combining two activities of your choice & a sumptuous three course festive lunch. 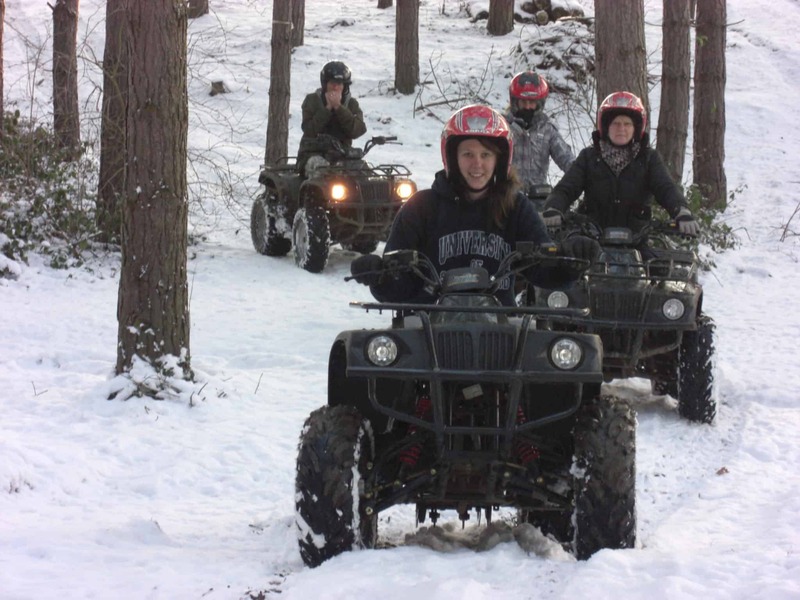 Your guests will enjoy a festive away day that will create lasting memories. 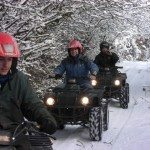 You’ll enjoy two exhilarating activities in the morning before enjoying a sumptuous three-course Christmas lunch in the cosy winter barn. And in the spirit of Christmas there’ll a prize giving ceremony for the winning team! 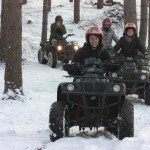 Our Christmas Motorised Activities include plenty of adrenaline fuelled options including hovercrafts, rage buggies, 4×4 driving and blindfold driving.We ask for groups of 10-20 to choose two of the following activities and larger groups of 21-50 to choose three of the following activities. 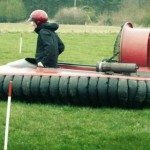 Hovercraft Driving – Simple to drive but a test of one’s co-ordination, hovercrafts provide a great element of competition. 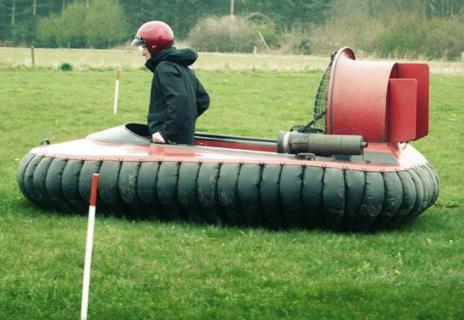 An experienced instructor will manage the hovercraft ensuring you get the most out of it. 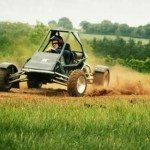 Rage Buggies – Participants will do timed laps around our obstacle course in these large grass go-carts. With a 620cc Honda V-Twin petrol engine you can be sure adrenaline levels will be suitably charged! 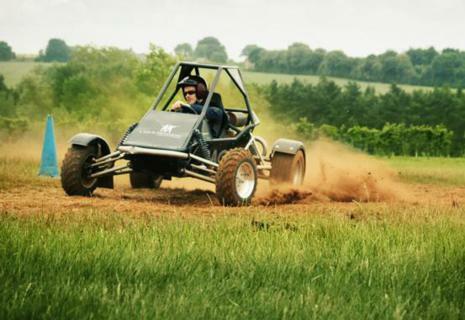 4×4 Driving – This thrilling activity in the heart of the Oxfordshire countryside boasts a challenging and punishing course to let the adrenalin flow. Blindfold Driving – Guests are blindfolded and rely on their colleagues to verbally navigate them through an obstacle course – an excellent exercise in trust and communication! Archery. 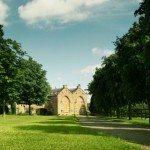 Set in 250 acres of beautiful woodland, our Archery course doesn’t get much better! To make it even more fun we use lifesize and moving targets too, and you can choose from traditional bows or cross bows. 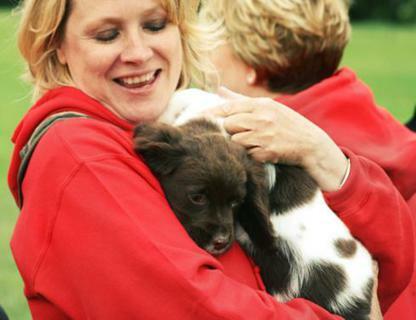 Clay Pigeon Shooting –The original country pursuit, clay pigeon shooting is always great fun for any level of shooter. 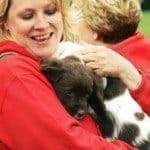 Axe Throwing – Release your inner warrior! Your session will start by practising with close range throws using training axes, which give you the greatest chance of getting a “stick”, before moving back to use larger, longer range tomahawks axes. 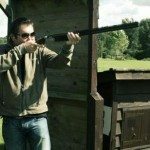 Air Pistol Shooting – Have you got a steady hand, patience and nerves of steel? Our air rifle sessions start with the opportunity for all guests to fire pellets at stationary paper targets to establish their point of aim using optical sights. From there, we move onto a selection of “plinking” targets and finish off with a competitive shoot-out using chalk marks and exploding firebird reactive targets. Great fun for the whole group. We went for the Country Sports option and it was amazing. We will be recommending it to the rest of our company in the future and can’t wait to work with Team Tactics again. They were super organised and the whole day and were so easy to work with. Big thank you (especially Melissa) for all your hard work. It made our day unforgettable! A proper boys day out. 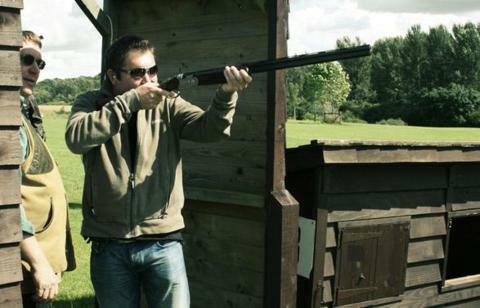 Clay pigeon shooting was a big hit and definitely humbled a few of the guys who fancy themselves as a sharp shooter. Thanks Charles for putting the whole day together! It was a great event for a group our size. Team Tactics made it so easy to organise and I am so glad we went ahead with something outside of London. We went for the Santa Motor Safari in Kent and it was fantastic. 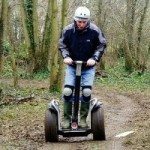 We would highly recommend it to other companies looking for something active, entertaining and inclusive. Thank you again. We went for the Oxfordshire Package and we were not dissapointed. 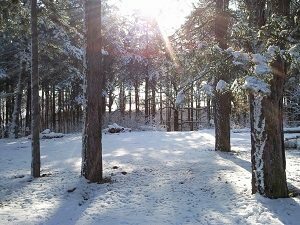 It was so nice to get out of the City and get some cold fresh air. 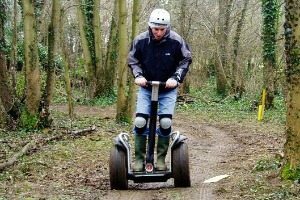 The Segways were a lot of fun and the whole team enjoyed the hovercrafts. It certainly provided lots to talk about and we have some excellent photos and memories from the day. Team Tactics were superb in organising the whole event (including our pre-activity morning meeting) we would highly recommend them.